White Diamond Details: 138 round brilliant cut white diamonds, pave set, of H color, SI3-I1 clarity, of excellent cut and brilliance, weighing .87 carat total. Brown Diamond Details: 478 round cut brown diamonds, pave set, of exquisite color, weighing 3.11 carats total. 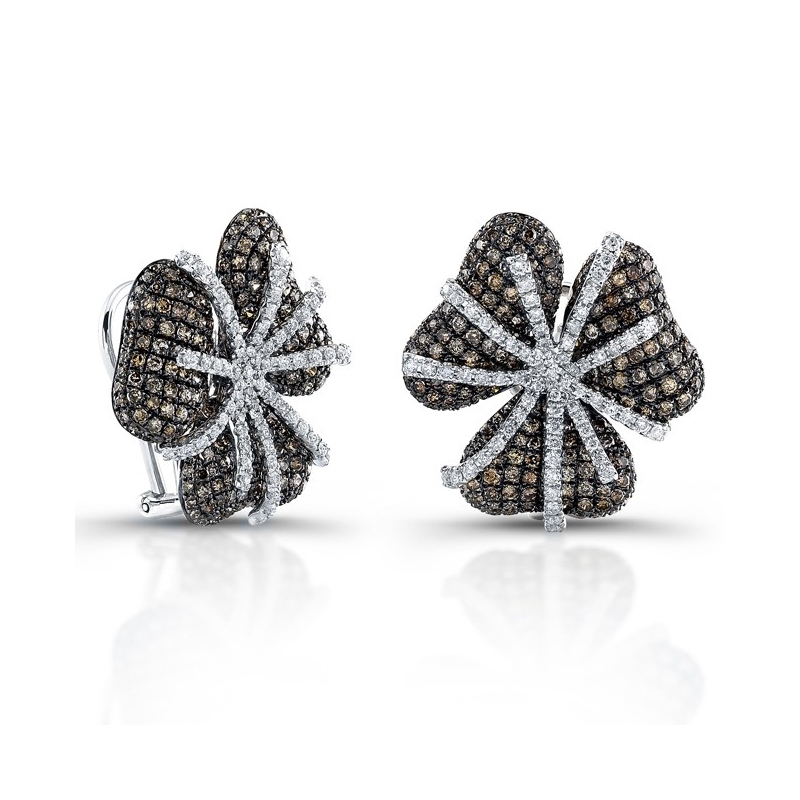 Earring Design: Rustic Diamond Collection 14k white gold flower design. Back Details: Post and omega backs. This gorgeous 14k white gold brown flower earrings from the Rustic Diamond Collection, features 138 round brilliant cut white diamonds, pave set, of H color, SI3-I1 clarity, of excellent cut and brilliance, weighing .87 carat total with 478 round cut brown diamonds, pave set, of exquisite color, weighing 3.11 carats total.